Kneale Mann | Leadership: UX BizPlan Vending Co. The vending machine is marvel of retro technology which thrives in our digital hi-tech portable world. 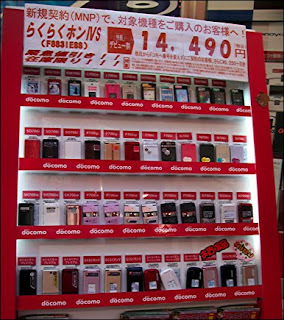 Not only can you order items on your cell phone, you can now buy a cell phone from a vending machine! But let's stick with food for a moment. Will you hover over your selection just that extra half second to insure you don’t accidentally get black licorice when you wanted cheese doodles? It can be stressful when you made the decision to work late and replace dinner with a few handfuls of deep fried potato slices. Snack food is a multi-billion dollar worldwide industry. There are companies making money hand over chips as we toil late in to the wee hours searching for sustenance. How can we learn from the vending machine while running a business? Some say if we are left with too much choice, we make none at all. But if we think we are too restricted, then we are unhappy with the choices presented to us. User experience must be – by definition – designed for the user. We customize our phone backgrounds and voicemail, we can modify our computer color schemes, choose from the long menu of options for our car and fashion is an individual choice. Why do we conform in the workplace? Could it be beneficial to examine the tastes and desires of each member of the team? Is it possible to find a more co-creative workspace by incorporating the choices made by each person involved? If we all liked the same things, shirts would only be available in blue and the parking lot would be filled with the same make and model of car. This is not to suggest you create an atmosphere where everyone chooses and no one makes decisions - that's just as unproductive as a benevolent dictatorship. If you work with clients or run a business, give some thought to the abundance of knowledge and experience of everyone involved. You may find some surprises along the way and not blindly feed them black licorice when they’d prefer cheese doodles.